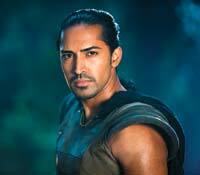 Bangalore city, tells us about his role in the fantasy-action film written and directed by Stuart Beattie, working with Aaron Eckhart and his all-time favourite character. I play a gargoyle called Ophir. I am actually a priest by day and gargoyle by night a�� a stone creature that comes to life to protect mankind from demons. There is a lot of focus on weaponry. Ia��ve never been in an action role before so there was lots of fitness, training and choreography. Learning to do things right without getting injured, essentially! There is plentiful CGI which is also very exciting and challenging. I dona��t have a scene with Bill Nighy, but I did speak to him quite a lot and he is a gentleman, makes you feel comfortable, and actually looks at you when you talk. Aaron Eckhart is very intense, 200 per cent professional, and very hard to keep up with, be it on set or at the gym. His evident commitment is why hea��s so ahead in this game. The experiences are both so different because in a film, you spend more time on set, but ita��s overall for a shorter duration. You need to instantly get into character. And because it is on such a large scale, there is much more happening all around. Ita��s daunting because you never know how much of your role will remain in the final cut. But on a TV show, you grow with the character and therea��s the option of seeing what is being made. Well, I thoroughly enjoy them both because they are very different. And TV is evolving so rapidly, it is very exciting. But then again film is something Ia��ve grown up on. So essentially I cannot pick! I am so happy doing what I do right now. All I will affirm is that I would love to play as many characters as possible from different countries. 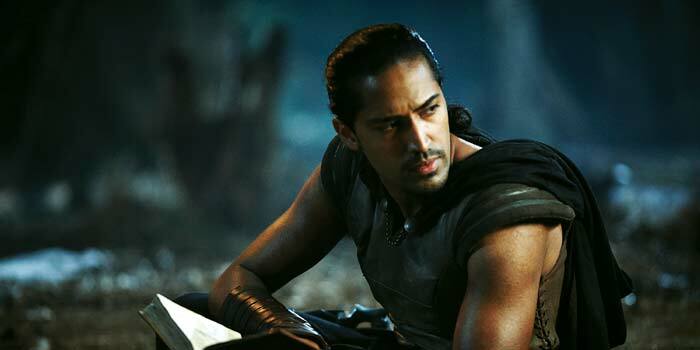 I would love to play Karan from the Mahabharata, if it were ever to be made again. The role is so strong and showcases an interesting tussle between right and wrong. Ia��ve done quite a few films already that are in post-production. Those will roll out shortly. But I am focussing on writing a novel and creating an animation feature film. That is my current adventure. I, Frankenstein is scheduled to release today.